feeling much better now and starting my week on a very happy note. 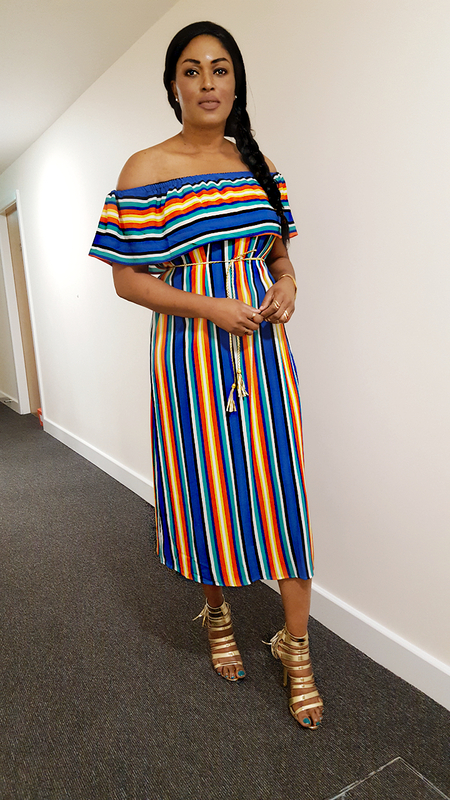 So today i'm bringing to the blog my review of this lovely multi coloured striped dress from Shein . This review was meant to have been published weeks ago when i received the package but i couldn't find the time to take the pictures i needed for the post because of my busy schedule and then when i did get time off work i fell ill. 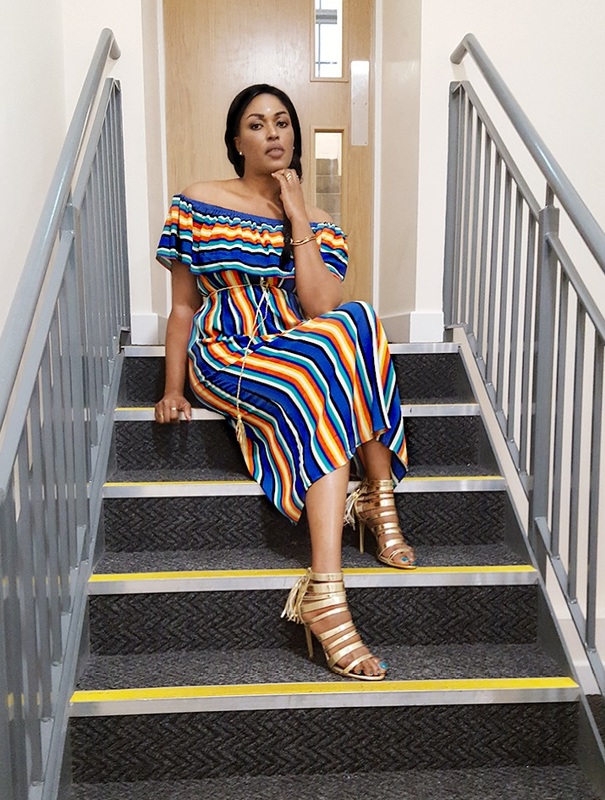 Anyway, i guess as the topic of today's post says ,i am into my stripes judging by my last 3 or 4 fashion posts on the blog. 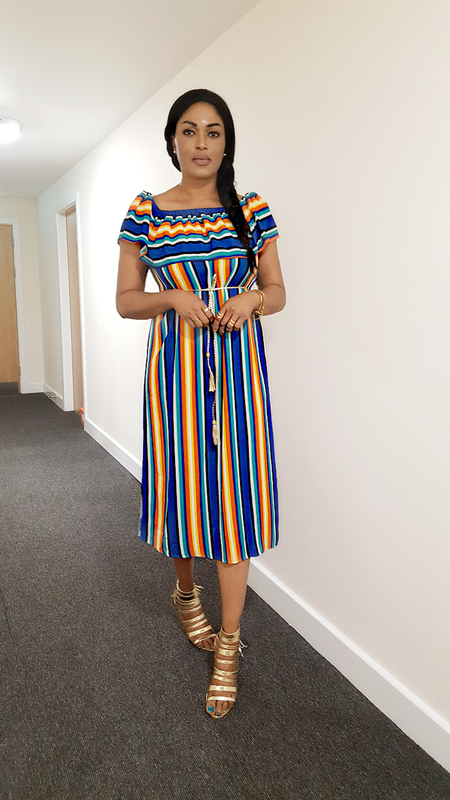 The colourful stripes on this dress really doesn't need any thing else but to let the dress do all the talking . I thought about heavy accessories to compliment the dress but it didn't appeal to me because it looked like a lot was going on. 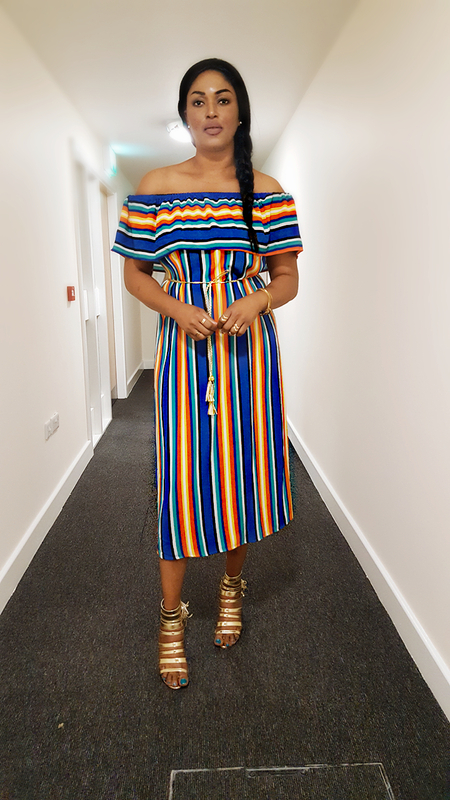 I styled the dress two ways ,one with the original off the shoulder style and the other was with the ruffle sleeves ,this is because the dress itself has got an elastic neckline that allows for that. The length was a midi length for me which was perfect and the material itself was quite breezy not something you would want to wear in Autumn season due to the winds and rains which tried to stop my photo shoot on the day i took these pictures ,fortunately we decided to take the pictures in-doors and it didn't turn out so bad after all. The store is offering a huge discount on some items on the website at the moment ,so you might want to take advantage of that , i was also impressed with their customer care service. Don't let the price of the dress deceive you,the material is very good and the colours do not run when washed in the machine (this is usually my fear when buying affordable dresses online). 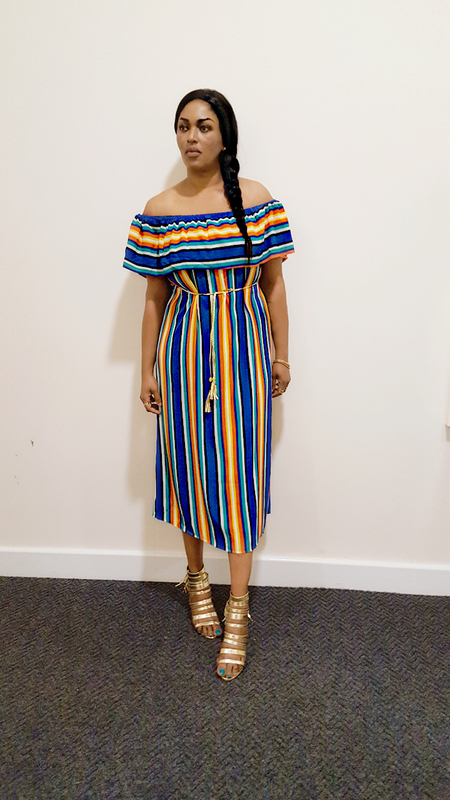 I would really love to know what you think about the dress and if you have shopped on SHEIN before, and your experience with them. I hope you all have a great week and a beautiful day. Kisses! Congratulations !! Kindly send me an email or on Social media to pick up your bottle of DKNY women. Thank you everyone for your comments,visits and congratulatory messages in my previous posts. Love you guys!